The boat was still anchored in the dock. When the engines turned on, we heard the voice of our guide explaining the program of our excursion to the Balmaceda and Serrano Glaciers in the Chilean Patagonia. One of the “attractions” was supposed to be whiskey with the ice from the glacier. When hearing this, some of the travellers smiled and it seemed they were looking forward to this particular moment. The birds we saw on our way to Balmaceda and Serrano Glaciers, from a distance looked like penguins. And indeed this is how some of the guides explained it to the tourists. At first, I also thought of penguins. But they were cormorants. I even managed to take a picture of one of them flying. Afterwards, we saw a family of seals. Although the captain turned off the engines in order not to scare them with the noise, the poor creatures looked terrified. They didn’t feel like having a company of a big boat full of tourists staring at them. On the way to the glaciers, I was looking forward to the waterfalls tumbling down the rocks. This landscape was like from a movie. The Balmaceda glacier is an example of a constant retreat of glaciers all over the world. Once we arrived, instead of enjoying the view I started to regret the whole trip. This glacier looked so bad. A few years ago it was reaching the waters of the lake and now it is in a constant retreat process. On the other hand, I have visited a place that unfortunately in a few years might simply disappear. Just a few minutes away there is the Serrano Glacier. Much more impressive but also in retreat. To visit it we got down the boat and walked a narrow path by the lake to get to the viewpoint. There are two viewpoints – the other one is very close to the dock. It is worth to enjoy the view of the glacier from both of them. Our trip included lunch in a restaurant. 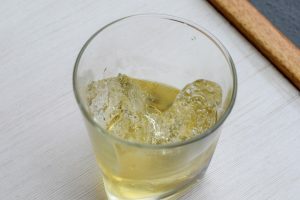 After the visit of the glacier, we got the promised whiskey on rocks, with the ice from the glacier. What can I say? I’m not keen on whiskey and I am not a specialist but it seemed that it was the worst whiskey I could ever try. Although the comments of many people weren’t very positive I did enjoy the trip to the Balmaceda and Serrano glaciers. Even though the first glacier wasn’t looking nice at all. It is sad but very probable that especially the Balmaceda glacier will disappear in a few years. We visited these glaciers during our trip to the National Park of Torres del Paine. You can read about it and the see galery of pictures HERE. 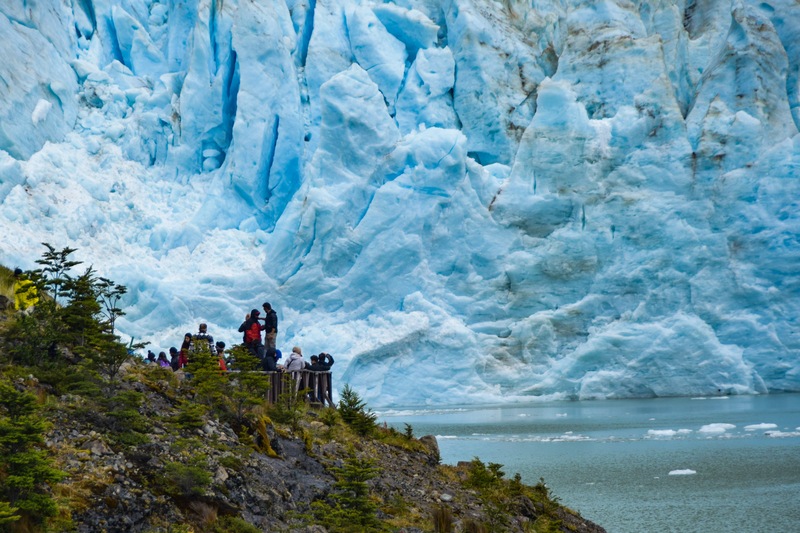 Another place worth visiting while in Patagonia is the Perito Moreno Glacier in Argentina. You can read about it HERE. These photos look fantastic. Sounds like you had such a good time but very sad that it won’t be there much longer. I wish there was something we could do. Like your writing style… but then I saw the photos. They can really say a 1000 words. Stunning. It’s so sad that these beautiful glaciers are disappearing. However that blue glacier was breathtaking none the less. Great photos. Love the pictures … Looks like a fabulous trip. Sad that the glaciers are slowing disappearing though. Life doesnt always give us what we want, sure you embarked on the trip to have fun but ended up with mixed feeling because of the glaciers which disappearing, but am sure you also had a nice time if not you couldnt have been able to take all those nice and awesome pictures. Wow, I have never seen a glacier up close and personal. I need to book a trip like this! Your trip looks like so much fun! The pictures were great and I loved your candidness. This blog is an eye opener. Glaciers worldwide are melting because of global warming. In India same is happening for the past decade. The crystal blue colour of the ice is so fascinating. 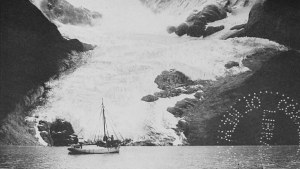 The melting glaciers are a concern worldwide. You are lucky to be a part of an excursion to a glacier. Oh my goodness! Those pictures are breathtaking! This looks like such an awesome experience.